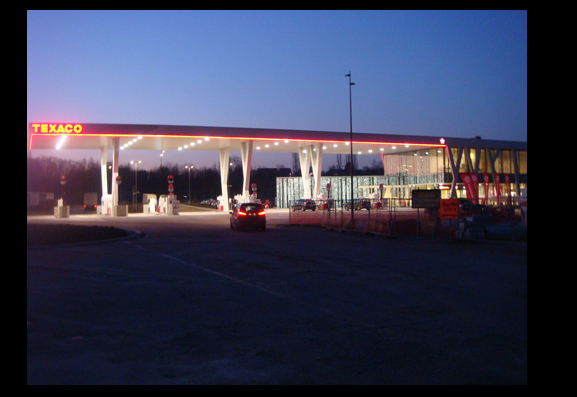 This new highway service station situated on the outskirts of Brussels is an award-winning design for Texaco. The forecourt design 'ingeniously' echoes the flora and fauna of the surrounding area in a modern and imaginative manner. Take a look at the tree graphics on the building's glazing which helps to minimise solar gain. The 'tree' columns and interior surfaces are made of polished concrete and the finish is very clean and pure looking but with the corporate style white furniture the overall effect is a little too austere.